Must mention the ad. Most cars. Exclusions may apply. Valid on most vehicles. Cannot be combine with other offers. "Great service, awesome people & honest!!! My car was out of warranty by 800 miles so they pretty much had the job of replacing my transmission. However, instead of taking the transmission job they called and worked with the auto dealer to get it covered! They didn't have to go out of their way to help me but they did! Even though it meant less money for them!!! They have earned my business for LIFE!" "Trust. I can trust Jefferson Auto Service North." I have known Steve Frank for a long time and is a person who has instilled integrity to his business. Quality work for a good and fair price. Steve once went with my Mother to look at a car she wanted to buy. He took the time out of his busy schedule to make sure an elderly woman would not be taken advantage of. My son lives in Lafayette, but will drive here to have his oil change/maintenance work done on his vehicle. Trust is everything." 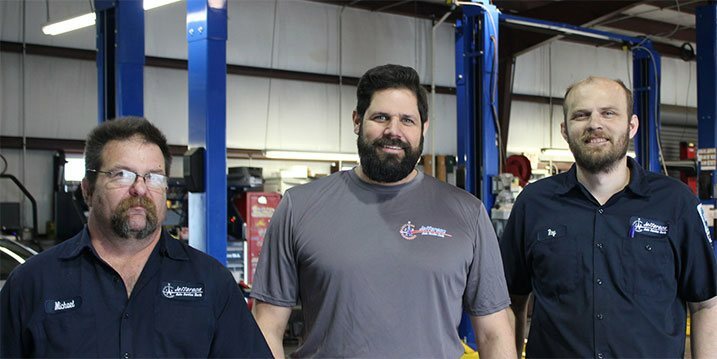 At Jefferson Auto Service North, we provide honest car and truck repair services at a fair cost, a simple and effective business strategy that’s served us well for nearly a decade. Covington area drivers trust us to fix vehicles correctly, tell it like it is, and do what needs to be done for an honest, straightforward price. 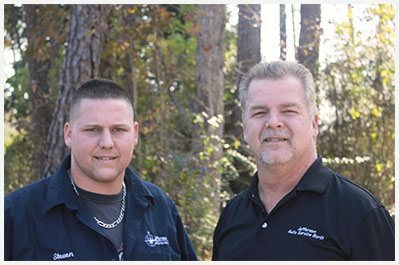 As a truly independent, family-owned auto repair shop — we aren’t a franchise and we aren’t here just to make money — we’ll treat you like part of the family. WE DO IT ALL! CARS, TRUCKS, GAS, DIESEL, Domestic, Foreign, and European vehicles. Our mechanics are trained and qualified to work on all vehicle makes and models, including foreign and domestic cars and trucks, gas and diesel engines, as well as maintenance on motorhomes and service on trailers. COUNT ON US FOR ALL THE FOLLOWING SERVICES AND MORE! As our customer, we want you to be aware of the overall condition of your vehicle to be able to make effective and logical decisions on the maintenance and upkeep of your investment. Together, we can keep your car or truck functioning at the peak of performance and reliability. For us, it really is a team effort with you, our customer and friend, as the captain of the team.